Godzilla Resurgence summed-up in one line: Shiro Sagisu’s Decisive Battle played over boardroom meetings. 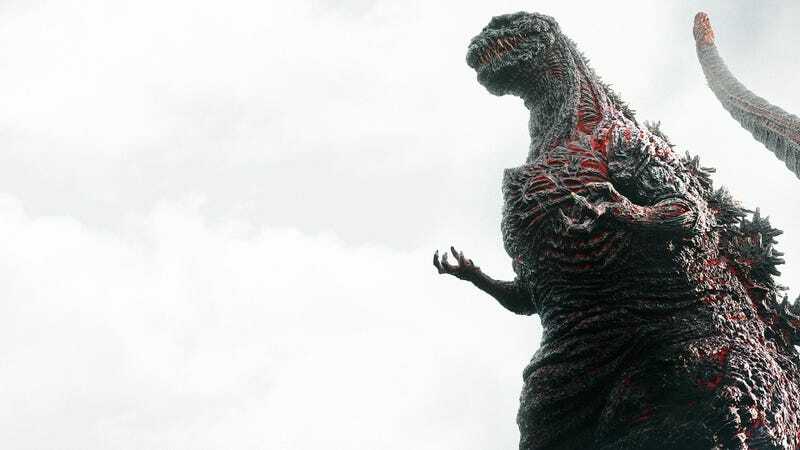 Shin Godzilla doesn’t have much of Anno’s trademark fast cuts, montages, still frames, boundless internal monologue, and many other directorial quirks but it does push the same message as Anno’s other works. The pain and suffering inflicted by Godzilla is no match for the pain and suffering that humanity inflicts on itself. Japan would rather retain the oppressive anxiety over its future rather than subject itself again to the evils of the nuclear bomb. I would surmise that Anno sees the cruelty of the nuclear bomb as an evolutionary dead end. It is a brute force solution to problems that offers no returns to humanity. In the end though, Shin Godzilla, like much of Anno’s other works, is about boundless optimism in the face of overwhelming despair. It’s his indefatigable belief in the self to redefine itself and survive applied to a nation. As the movie would say: scrap and build.